Life is full of surprises and accidents may happen, but our locksmith company, Locksmith Sherwood Park, is always at your service 24/7. We make sure that your life will continue as before even if your keys have fallen into the drain. We make sure that your locks are in excellent condition, so that your valuable items, your car and your home will always be secure. Nowadays, there is a vast range of different key locks, the car keys have multiple codes and the latest models of gates and windows embody high tech locks. Your security is our business and our technicians go through an excessive testing in terms of their expertise as well as their clean past. We like to build relationships on trust. A broken lock, a door that has been intruded, a code you might have forgotten or a car ignition that is blocked are problems, which we can solve in minutes. These are gaps in your security that not only trouble you, but they can put your property at risk. 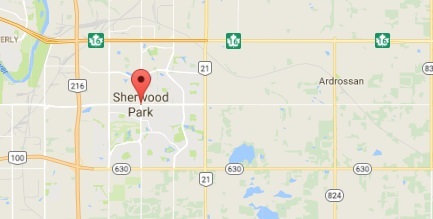 Sherwood Park, as most areas in Alberta, is an exquisite city that attracts many tourists and offers a variety of facilities as well as cultural events and festivals all year around. We are lucky to live in a city with such low crime rates, but home security is still important. Keep our local locksmith service number on speed dial because we are available 24/7. Apart from being an excellent emergency locksmith company, we can inspect your locks and the security system at home and office and see if we need to replace your home or car key, fix the lock of your front door, and repair the door lock. The expense is low and you will be able to sleep well at nights.